Many years ago, bay leaves were used to make honorable crowns to place on the top of hero’s heads in Ancient Greece. Now the leaves are useful for seasoning foods and beverages with a mild refreshing earthy bitter pungent flavor, and for their potent health benefits. The bay plant is a tall, conical, evergreen tree growing upto 30 feet in height. Yellow or greenish white, star-shaped flowers appear in clusters during early spring, which subsequently produce dark-green to purplish, single seeded berry. Bay Leaves's thick and leathery leaves feature elliptic, shiny, dark-green and measure about 3-4 inches in length. Bay leaf not only has medicinal properties but is also used in cooking. The freshly dried bay leaves have a warm aroma, which is infused into cooking. The aroma of the leaves is much more noticeable than the taste. The fragrance of the dried leaf is herbal and floral. There are several other trees grown around the world that are also called Bay leaves, namely: Californian Bay Leaf (Umbellularia californica, Lauraceae), Indian Bay Leaf (Cinnamomum tamala, Lauraceae), Indonesian Bay Leaf (salam leaf, Syzygium polyanthum, Myrtaceae), West Indian Bay Leaf (Pimenta racemosa, Myrtaceae), Mexican Bay Leaf (Litsea glaucescens, Lauraceae). The leaf, both dried and fresh, and the fruit of the bay leaf tree are used for medicinal purposes and cooking. The leaves have a warm aroma and can be stored for later use. Bay leaves yield an essential oil that is used in cooking and in treatment of various ailments. The essential oil that is obtained from the fruit is used in making soap. Bay leaves is indigenous to Asia Minor, from where it spread to the Mediterranean region and other favorable countries. Bay leaf cannot survive in colder climates, which counts as one of the main reasons of it not being cultivated in northern regions. Turkey is one of the leading exporters of bay leaves, along with countries like France, Belgium, Italy, Russia, Colombia, Central America, North America and India. The laurel tree, from which the bay leaf is derived from, holds an important place both symbolically and literally in both Greece and Rome. The laurel tree is a symbol of honor in these cultures and is one of the central components in many ancient mythologies. Bay leaf has its wide use in culinary dishes in Europe and North America. There are different beliefs associated with the bay leaf. Some people belonging to the Elizabethan era believed that pinning bay leaves to one’s pillow on the eve of Saint Valentine’s Day can help them see their future spouse in their dreams. The potent nutrients in bay leaves are vitamins C, A and B, copper, calcium, selenium, zinc, magnesium, potassium, essential oils, antioxidants and anti septic, anti fungal, anti bacterial and anti viral properties. Bay leaves also contain lauric acid in them, which can be useful when treating stomach ailments such as ulcers, gas and nausea. Bay leaves are effective in fighting the symptoms of cold, flu and infections. In case of respiratory problems, boil water and add 2 to 3 bay leaves. Allow it to steam for 10 minutes. Soak a cloth in this water and place bay leaves on your chest to alleviate flu, cold and cough. Bay leaf tea is effective in reducing fever. In case of repeated sneezing, boil some bay leaves in 200 ml water till ¼ remains. Strain and drink this concoction. Bay leaves have been found to be effective in treating type 2 diabetes as they cause reduction in blood glucose, cholesterol and triglyceride levels. To get maximum results, these leaves can be powdered and consumed for 30 days. This will cause a drop in sugar levels in the body as well as regulate the functioning of your heart. This is because the antioxidants in bay leaves enable the body to process insulin more efficiently, thus making it a good choice for diabetics and people with insulin resistance. Bay leaves are good for promoting digestion and can treat digestive disorders such as heartburn and flatulence. Drinking a concoction of bay leaf tea with hot water can alleviate common digestive disorders like constipation, acid reflux and irregular bowel movements. It contains enzymes that enable the breakdown of proteins, thus making it an excellent spice for non-vegetarian diets. In case of indigestion and bloating, you can take 5 grams of bay leaves, add a piece of ginger and boil this in 200 mil of water till ¼ water remains. Add some honey and consume this twice a day for relief. Bay leaves also acts as an appetite stimulant if you are recovering from illness. Bay leaves is a good source of minerals like copper, potassium, calcium, manganese, iron, selenium, zinc and magnesium. Potassium is an important component of cell and body fluids that helps control heart rate and blood pressure. Manganese and copper are used by the body as co-factors for the antioxidant enzyme, superoxide dismutase. Iron is essential for red blood cell production and as a co-factor for cytochrome-oxidase enzymes. Bay leaves contains the phytonutrients, caffeic acid and rutin, as well as salicylates. These phytonutrients protect the heart and lower the risk of strokes and heart attack. The oil extracted from bay leaves has anti-inflammatory properties which can ease the pain resulting from sprains, strains, arthritis, rheumatism as well as general pains and aches. 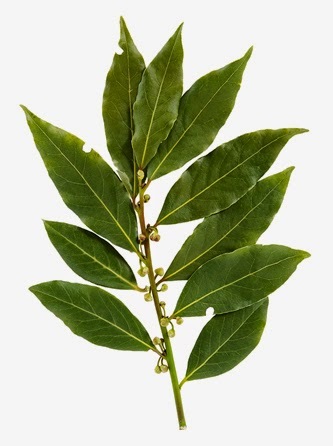 Massaging your temples with bay leaf oil helps to relieve migraines and headaches. It also boosts circulation and promotes a feeling of well-being. In case of joint pain, you can make a poultice of ground bay leaves and castor leaves, and tie it around the inflamed joints to reduce pain and swelling. In case of headache, you can boil a few bay leaves in water for a few minutes. Strain and drink this concoction while it is still hot. You can apply a paste of bay leaves on your forehead to get relief from severe headache. Bay leaves has many volatile active components such as α-pinene, β-pinene, myrcene, limonene, linalool, methyl chavicol, neral, α-terpineol, geranyl acetate, eugenol, and chavicol. These compounds are known to have been antiseptic, anti-oxidant, digestive, and thought to have anti-cancer properties. They also contain a phytonutrient called parthenolide which has shown to specifically restrain the proliferation of cervical cancer cells. Bay leaves are an excellent source of vitamin A. Vitamin A is a natural antioxidant and is essential for healthy visual sight. So bay leaves are also required for maintaining mucus membranes and skin health. Consumption of natural foods rich in vitamin A has been found to help to protect from lung and oral cavity cancers. Bay leaves help in treating kidney infections and even kidney stones. Strain and drink this twice daily. This will stop the formation of kidney stones. Being rich in folic acid, bay leaves are extremely beneficial during the periconception period (3 months before and after pregnancy). Furthermore, its fresh leaves and herb parts are very good in folic acid; contain about 180 mg or 45% of daily-recommended values per 100 g. Folates are important in DNA synthesis and when given during the peri-conception period, they can help prevent neural tube defects in the baby. A rinse made from infused bay leaves is effective in treating dandruff. 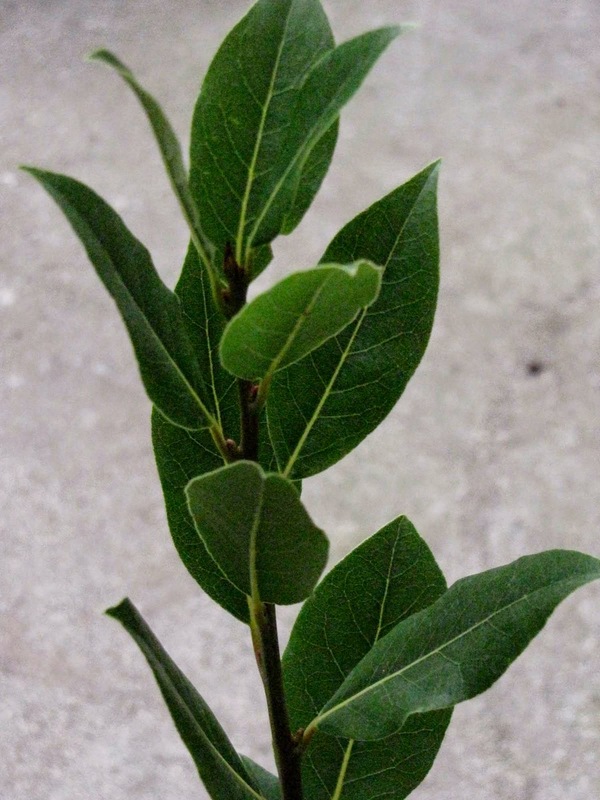 Bay leaves tea is considered a great remedy for hair loss. Bay leaves also treatment of head lice effectively. Medicinally, the benefits of the bay leaves and they berries are plentiful. It has astringent, diuretic, and appetite stimulant properties. 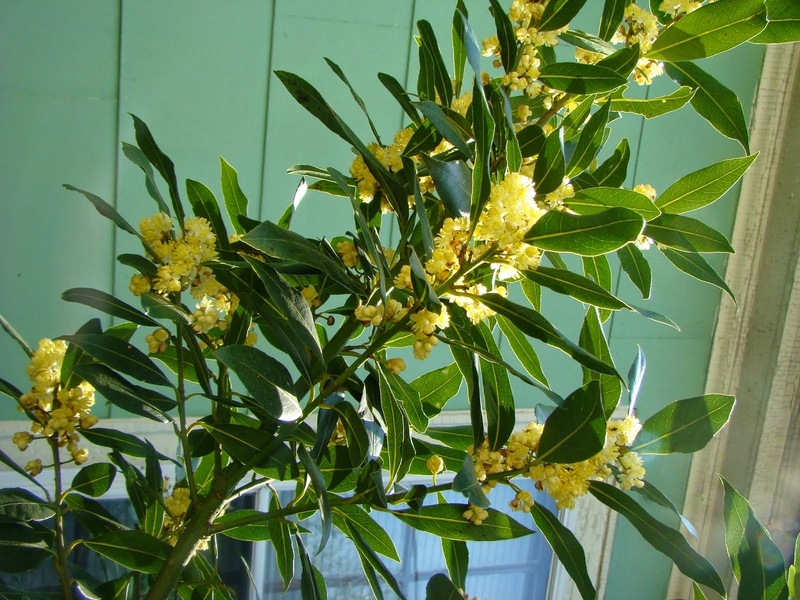 Bay laurel infusions are used to soothe the stomach ulcers and relieve flatulence. People with asthma, dermatitis, eczema, and gastrointestinal problems should not use this herb because it can worsen their current health conditions. Those who are allergic to bay leaves should stay away from them completely. Women pregnant should not use this herb at all as a natural remedy. Other than all that, bay leaves are considered safe to use for seasoning food and beverages as well as an herbal remedy for treating certain health conditions. Please consult your health care provider for any advice on medications.